This stunning custom piece is created from thick 18g sterling silver. It measures 1 1/8”. The golden circles are made from high quality jewelers brass. 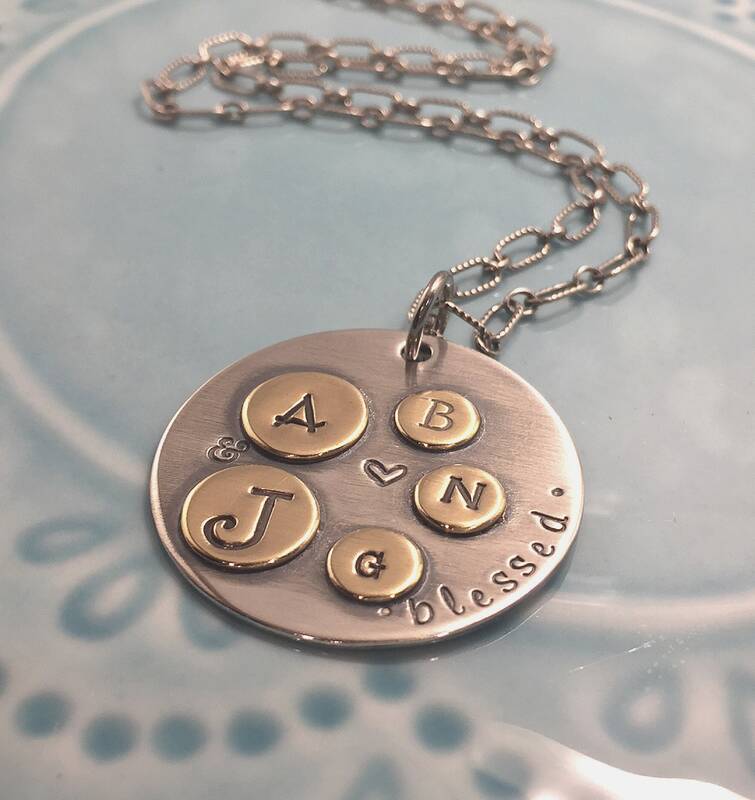 I can customize these how you choose...I show here 2 slightly larger circles stamped with the parents initials, and the children’s initials are on smaller circles. It comes on a 30” oxidized sterling silver chain. This is definitely a necklace that is heirloom quality. If you have questions about how to customize this necklace, please feel free to message me and we can work together to create the perfect piece for you! Brass can oxidize over time and turn a darker golden brown color. This is easily cleaned with a jewelry cleaning cloth or polish pad. The speed at which it oxidizes depends on many factors...heat and humidity accelerate this process.